Lark Silent Alarm Clock and Sleep Sensor for iOS, Roobix! Designed with sleep experts and available across all iOS platforms, our silent alarm wakes you (and only you) with patent-pending soothing vibrations. The wristband wakes you silently and gently- you’ll even snooze less. Perfect for couples with conflicting schedules, the hard of hearing, and the groggy morning folk, the silent alarm will transform the morning for both of you. The moment you wake up, check out how you slept. 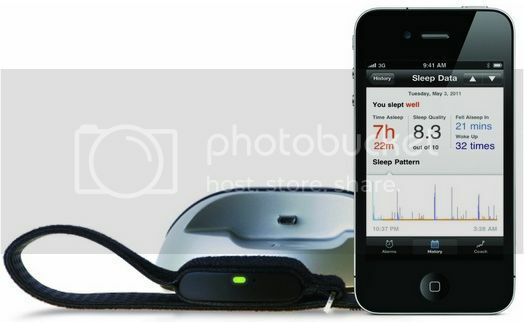 The LARK wristband uses an actigraphy microsensor to detect your unique sleeping patterns. No syncing, it automatically shows up on your phone. Don’t sleep for sleep’s sake. Sleep so you can improve what matters to you most: your health, happiness and performance. Every day, use the real-time feedback and tailored sleep plan from your Personal Sleep Coach and Silent Alarm Clock to improve your life. Wake your potential (not your partner) with LARK.